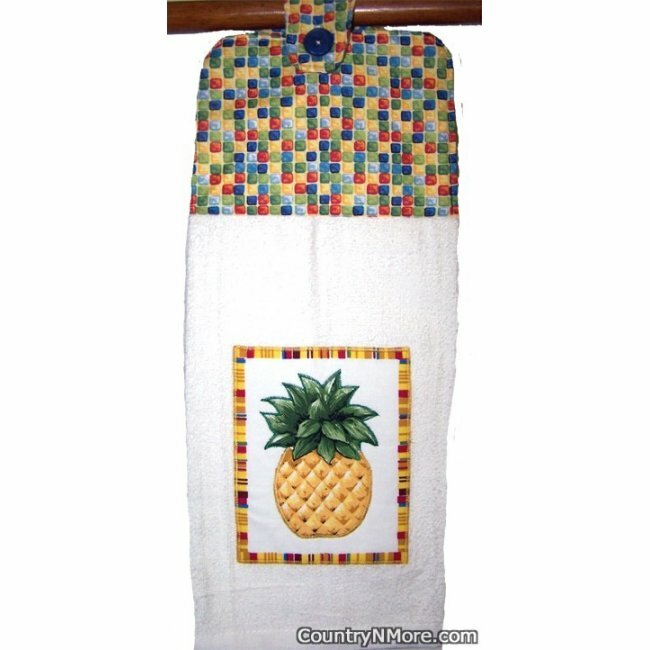 The pineapple on this oven door towel looks good enough to eat. This applique pineapple looks very realistic. The colors in the top of the oven door towel bring out the colors of the border in the towel. We use full length towels folded in half for our oven door towels.